Romeanesco is the strangest looking food I’ve ever seen. While it would taste great roasted with olive oil, garlic and parmesan, the temptation to serve it raw, in all it’s M. C. Escher glory, is overwhelming. 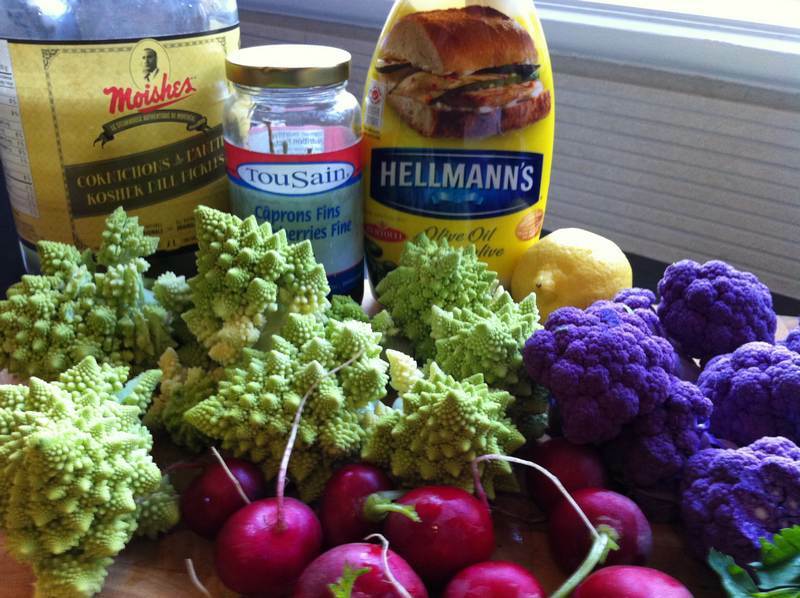 While you are at it, pick up some purple cauliflower, for a totally psychedelic food experience. 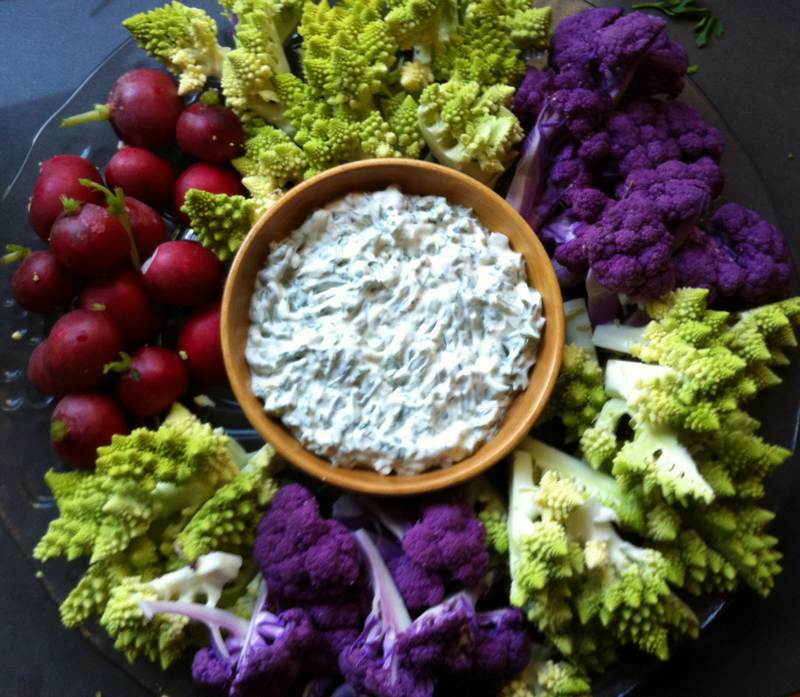 The “Food and Memories of Abruzzo” cookbook by Anna Teresa Callen recommends this Arbuzzo version of crudités with dip – Antipasto di Cavolfiore e Ravanelli – Cauliflower and Radish Antipasto. Doesn’t everything sound better in Italian? It looks beautiful and tastes great. It doubles as a conversation piece. The bright red radishes contrast nicely with the pale green and deep purple of the cauliflowers. 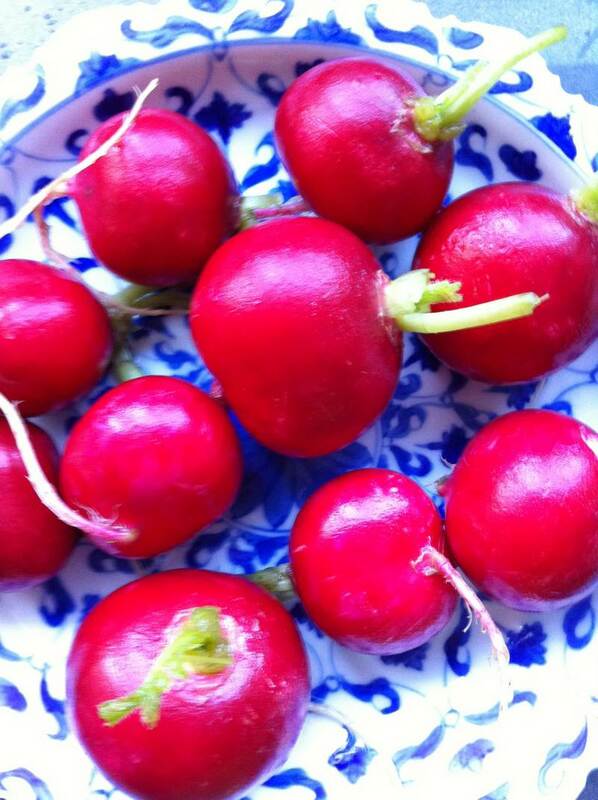 The radish leaves were not lovely, so off they went, leaving a small stem. The radish tails still have to be removed. Is it just me, or does this look like it just landed from outer space? Apparently Romanesco is available until Christmas, at which time it can serve as a mini Christmas tree. 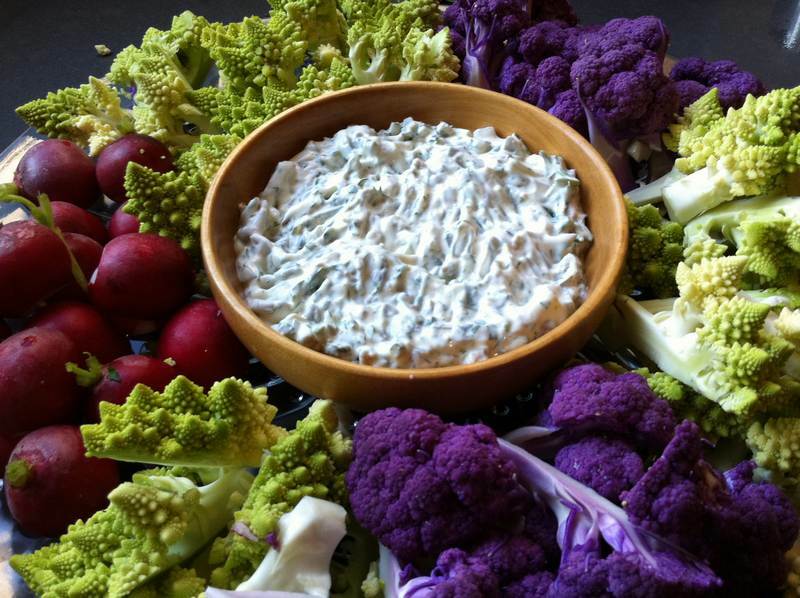 Mix the mayonnaise, capers, pickle and parsley in your dip bowl. Squeeze the lemon over the raw vegetables. Serve before dinner as a welcome change from the usual carrot, celery and coloured pepper crudite platters. This dip is wonderful in tuna or chicken salad. Some chopped pear was added to the chicken salad as well. Thanks to Firm Mattheews at Jean Talon Market for supplying us with this spectacular produce. Adrianne, will you consider this version of cauliflower as art model worthy? Thanks to Joanne for prepping me for our trip to Abruzzo with this wonderful, authentic, inspiring cookbook. The New York Times is asking “Are cookbooks Obsolete?” and I’m responding “Hell, no!” I am passionate about cookbooks. There’s a place for electronics, but I’m not giving my bookshelves over to knick knacks any time soon. Take a look at M.C. Escher’s artwork on Artsy, making the world’s art accessible to everyone with bio, images, exclusive articles and exhibitions. Did you ever hear of Fractal Food? Me neither. 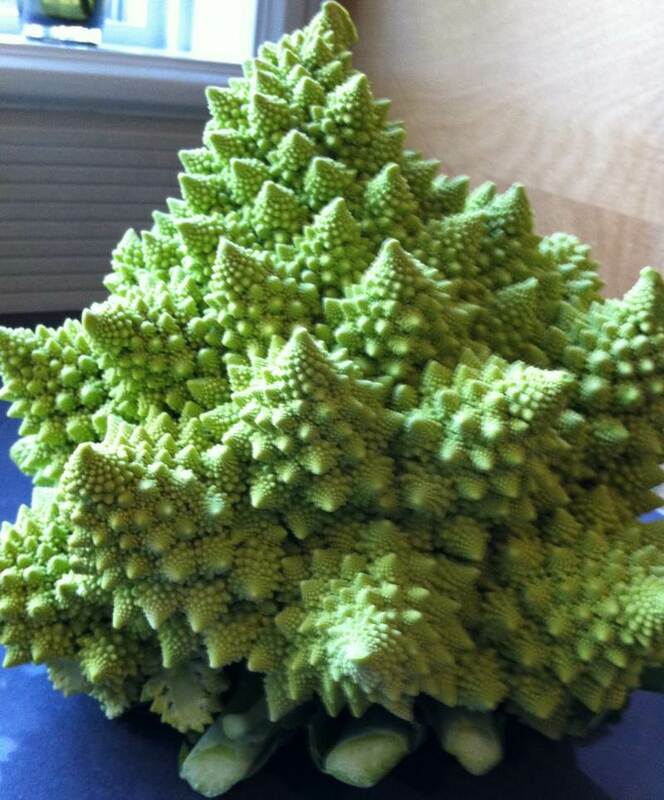 but Romanesco is a prime example. I’m so glad to have joined. We got this wonderfully strange vegetable in a mystery food box and are delighted to learn it is the Romanesco. 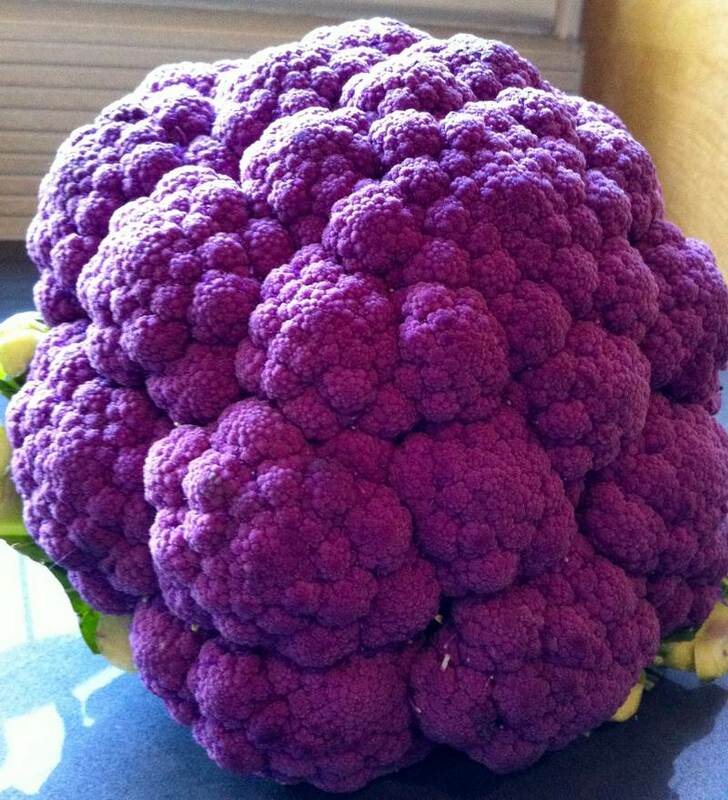 Now to find the purple cauliflower. Brilliant color design of dishes. Love it.